It is strongly recommended that students complete all self-directed study at home. Therefore, students should anticipate completing three hours of self-directed study for every one hour of didactic time. To assist in the self-directed process, students will have access to a number of enriched online sessions. 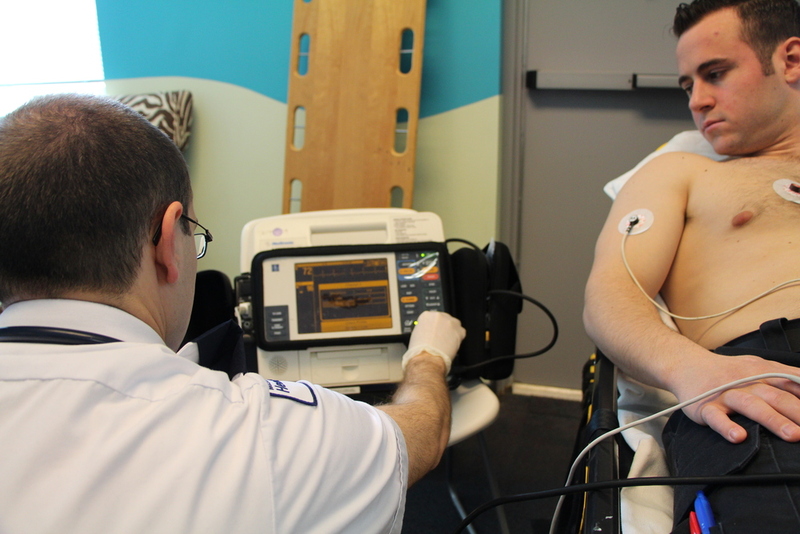 Practical simulation labs will be conducted at one of our four campus/delivery sites, which are currently located in Fredericton, Moncton, Dartmouth and Sydney. Other sites may be added depending upon demand and resource availability. Total didactic time is 478 hours with practical simulation labs totaling 340 hours. A total of 192 clinical hours will be completed in emergency departments, operating rooms, intensive care/cardiac care units and obstetrical units, while another 504 practicum hours are completed in the ambulance setting. To complete the distance program, not including self-directed study time, a student must have completed 1514 hours of training. Be registered as a Primary Care Paramedic (or equivalent in another jurisdiction). Write and pass PCP level exam. Attend (in person or via Skype/Facetime) an interview with designated Admissions Representatives. Acceptance into the ACP program remains conditional until such time all of the above are received, verified and approved. For information on financial assistance, rebate programs, potential employment opportunities upon graduating, and other relevant information, please visit our helpful links page by clicking here.